Consistently producing the finest South Asian Bridal shows in Florida and Atlanta, Desh-Videsh Media Group proudly presents the MyShadi Bridal Expo in Orlando on Sunday, September 18, 2011. A cultural event showcasing unique products and services essential for Hindu, Muslim, Christian, and Sikh weddings, the Expo provides soon-to-be-weds a one-stop shop to make wedding dreams a reality. Year after year, Desh-Videsh Media Group and MyShadi Bridal Expo have attracted more Indian, Pakistani and Bangladeshi brides than any other bridal shows in the southeastern United States. MyShadi Bridal Expos are designed with the needs of brides in mind. 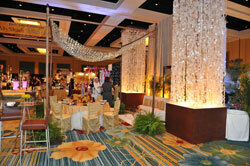 Exhibit areas are planned to allow foot traffic and enable brides to access to booths and vendors. Exciting promotions, raffle drawings, and the chance to win a free trip to India draw large crowds giving businesses an opportunity for face-to-face marketing. For brides and vendors alike, face time with one another is important, and shows like the MyShadi Bridal Expo make it easier for those connections to happen. Join us at this one of a kind bridal event, which is going to be staged in a format not yet seen in the Orlando area. Over 100 booths placed in a classy and elegant layout designed to create an ambiance of splendor will be appealing to brides-to-be and their families. For future brides, grooms, and their respective families, the MyShadi Bridal Expo is a chance to plan your entire dream South Asian wedding in just one afternoon. Meet and discuss your wedding plans with vendors, taste scrumptious food and cake samples, and peruse the many the decorated mandaps and reception tables on site – all on the same day. 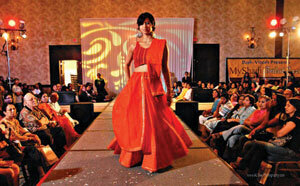 MyShadi Bridal Expos are designed with the needs of brides in mind.